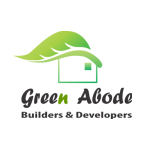 Green Abode Builders & Developers founded by its proprietor Mr. Chirag Kirit Shah has background in B.E,(Civil) with Distinction. Mr. Shah has 25 years of hand on experience in the profession with his team of architects Soyuz Talib Architect STPAL, Structural Consultant -Structural Concept Designs Pvt. Ltd. and a highly experienced, efficient and result oriented staff. He is a Partner of KAMDHENU BUILDERS AND DEVELOPERS and is also one of the Director of KAMDHENU HOME MAKERS PVT. LTD.
We believe in hard work, commitment and a passion for creating and delivering excellence. Every client that approaches us is assured, knowing their projects is in capable hands. We operate on firmly rooted principles of accountability, professionalism, innovation and transparency, adheres to its moral code of ethics. We commit ourselves to build not just structures but log-term relationships. We believe in providing superior customer service. We deliver work by looking through clients perspective, keeping in mind their specific requirement. And we go beyond their expectations and develop abode that enrich the client's life.